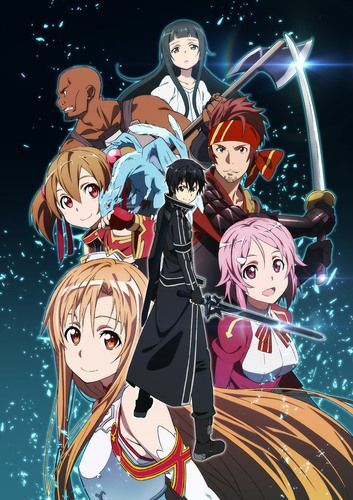 A genius programmer named Kazuto "Kirito" Kirigaya enters a virtual-reality, massively multiplayer online world called Sword Art Online. There is no escape from this world unless the player clears the game; however getting a "game over" results in the death of the player. 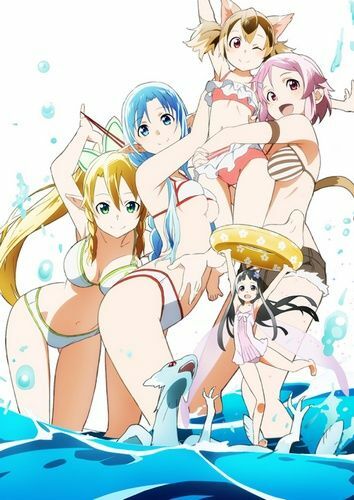 A year has passed since Sword Art Online (SAO) was cleared. 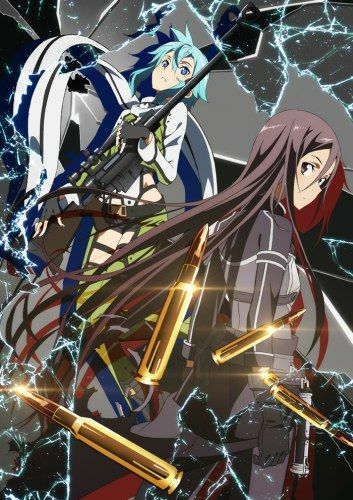 Kirito is asked by Kikuoka to investigate Gun Gale Online, specifically Death Gun, a weapon which seemed to link deaths in the virtual reality world to those in the real world. Upon entering the game, Kirito meets Sinon who teaches him the ropes of the game. They both enter the Gun Gale Online tournament, Bullet of Bullets. Kirito displays his amazing skills although he is only a newcomer to the game. Later, Kirito finds out that the mysterious deaths are linked to a red guild named Laughing Coffin in SAO. * Based on a spin-off novel series of Kawahara Reki's light novel series Sword Art Online, written by Shigusawa Keiichi and illustrated by Kuroboshi Kouhaku. In the world of guns and steel that is Gun Gale Online, Llenn has been a devoted, female solo player. She is obsessed with two things: donning herself entirely in pink and honing her skills with consistent game play. 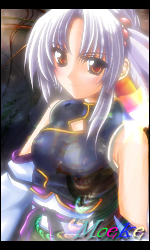 She soon discovers her love for hunting other players (a.k.a. PK), soon to be known as the "Pink Devil." Meanwhile, Llenn meets a beautiful yet mysterious player, Pitohui, and the two click right away. Doing as she is told by Pitohui, she enters the Squad Jam group battle.